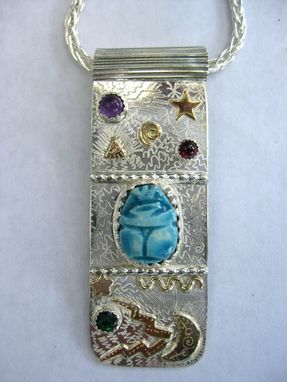 Sterling silver, 14K gold fill neckpiece with traditional scarab in center and semi precious stones. Hand engraved on front and engraved writing on back. Sterling pleated tube on top to carry sterling chain. 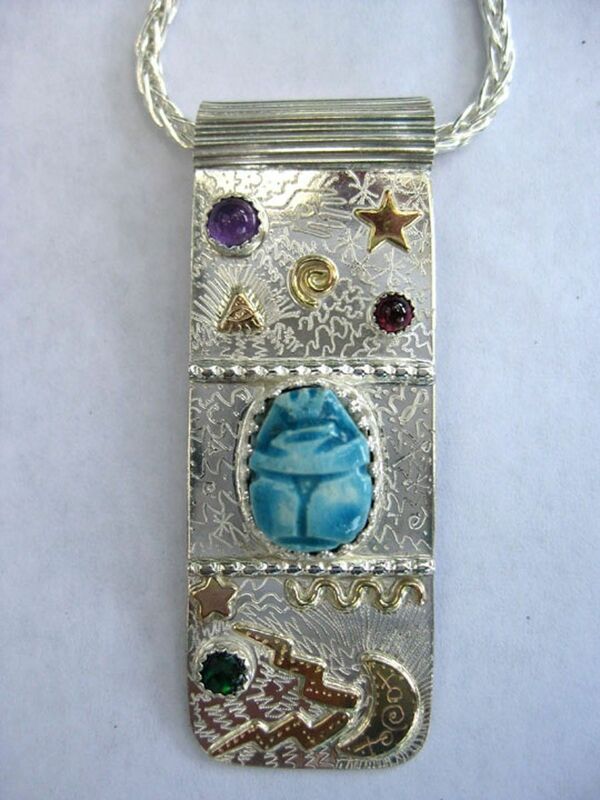 Dimensions: Approx 3" high 3/4" wide on 18" sterling "Wheat chain."